& look and feel great! It’s a sad fact that when you are overweight, the likelihood that you will contract a chronic disease increases substantially. If you are obese, you have to worry about even more problematic health conditions. The human race is more overweight than ever before. All of which brings us to the lessons and the bonuses! The fact that you’re reading this suggests you may be looking to drop a few pounds so that you can look and feel better, and improve your health and self-esteem. If that is the case, good for you! You are taking your health into your own hands. Reaching and maintaining a healthy body weight is good for so many reasons. In fact, there may be a few things you didn’t consider regarding weight loss. There are some things that happen to your body when you undergo the physiological change of losing weight that you may not have been prepared for. 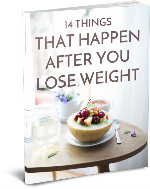 14 of the more common side-effects of weight loss (positive and negative) are detailed in our opening lesson, 14 things that happen after you lose weight. 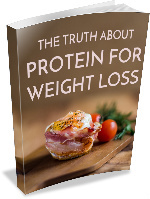 In this lesson, we will take an in-depth look at the weight loss/protein relationship. You will discover just how much protein health authorities say you should be getting every day, and what happens when you eat too much. You will find out which healthy foods are protein-rich, and you may just be surprised at some of the foods on this list. You’ll get the lowdown on protein bars, powders and shakes, why the “when” of eating protein is so important, and how you should time your protein consumption to get the most out of your workout. Let’s get started by taking a look at how your body processes protein, and how this can result in weight loss. The popularity of green tea has grown massively in recent years, not just as a refreshing beverage, but also as a way to boost your weight loss efforts. Chinese green teas first became popular outside of China in the early 1900s. In Asia, the use of green tea for weight loss and other health concerns dates back some 3,000 years. 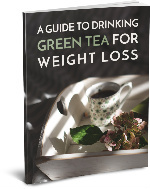 If you are considering drinking green tea as part of a healthy diet and nutrition plan that hopefully leads to weight loss, there is a lot you need to know about this healthy, natural beverage. This healthy eating guide makes a simple proposition – to save you time and money while replacing poor health risks and realities with overall health and wellness. That begins with education, understanding what and how to eat for physical, emotional and mental health. 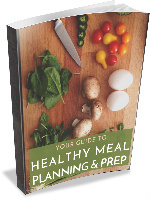 You will discover a myriad of tips and best practices that make planning and preparing healthy meals simple. There are apps and websites that can help you along the way, and you will receive a few simple recipes that promote good health. Coincidentally, you will discover exactly why you should prep days of nutritious meals in advance, if the scary health facts and figures from earlier are not enough motivation. Finally, you will formulate a shopping list, and uncover the frugal beauty of bulk buys. If you avoid physical movement and prefer to stay seated and sedentary most of the time, your health can take a turn for the worst. Those people that move frequently, with traditional exercise or just staying active, live longer, healthier lives. 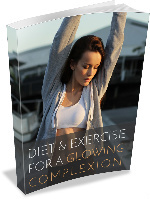 Exercise helps detox the body, which leads to healthier skin. In this lesson, we explain exactly how food and physical movement can clean up unsightly and unhealthy skin problems. You will learn how to fight acne with food, diet tips that help you turn back the clock on the age of your skin and its appearance, as well as exercise tips for smooth, strong, healthy looking skin. This is a Pay What You Want course. 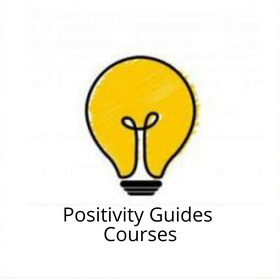 For that you’ll get instant access to the entire course, for as long and as often as you need. Plus you’ll get the five eBooks, and bonus downloads that make up the course. Well, I would be sad. But if you’re really unhappy with the course, just email me within 10 days and I’ll return your money. Just fill in your email to start the sign up process & get instant access.